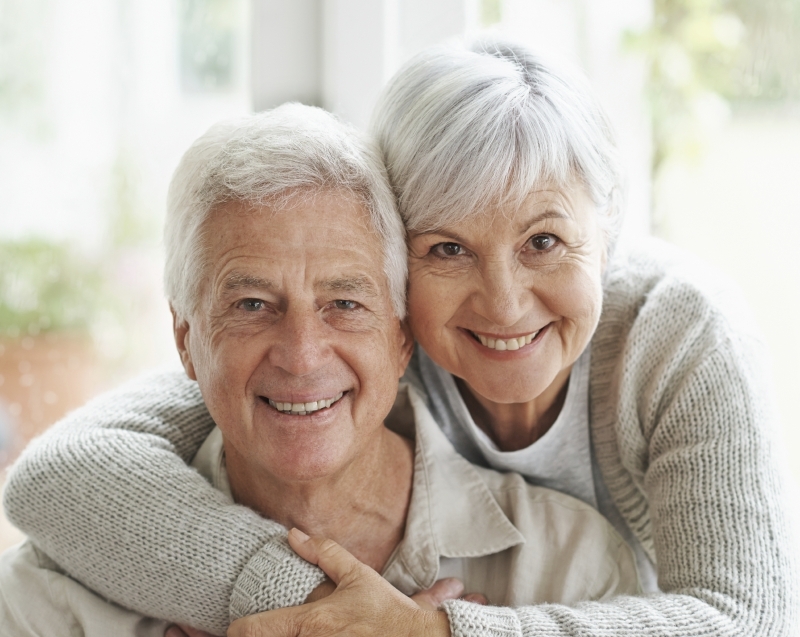 At Country Hills Dentistry in Kitchener, we provide both full and partial denture services. Are dentures only suitable to replace a full set of teeth? Dentures can be used to replace as few as one, or as many as all of your teeth! Full dentures replace all of your teeth in the top and/or bottom section of your mouth. Full dentures are usually made from acrylic with acrylic or porcelain ‘teeth’. Partial dentures replace one or more missing teeth. Partial dentures are usually made from a combination of acrylic and metal. Dentures are the most cost effective option to replace missing teeth. A partial denture is the most inexpensive and non-invasive option available to fill the spaces of the missing teeth. Other options to fill in gaps caused by missing teeth include bridges and implants. A full denture is a very cost effective option to replace a full arch of missing teeth. The other option to replace a full arch of missing teeth is an implant-retained denture, which allows a denture to lock in to implants. Will my new dentures cause me to eat or speak differently? While getting used to your new denture, you may speak and eat a little differently. The muscles in your cheeks, lips, floor of your mouth and even tongue will need time to adjust to the new denture. Reading a book or newspaper out loud will help you get used to speaking with the denture in your mouth. When you begin eating with your dentures cut your food in to small pieces and chew slowly with both sides of your mouth. It may take several days and up to a few weeks to feel ‘normal’ talking and eating with your new dentures in place. Will my new denture fit my mouth? Yes! Your new denture will be made to fit your mouth. However, when speaking and eating, you may have some sore spots. If this occurs, don’t hesitate to let us know. We can make minor adjustments to your denture to achieve a comfortable fit.